The brand speaks for the first time about an initiative that can be seen as a model for more effective research and collaboration between established companies and startups. Being squeezed is a sensation most marketers are very familiar with. As budgets and teams shrink, they are urged to be "always on", deliver more work in less time, and achieve stronger results. A big problem is that traditional research companies have not caught up to this reality. The fieldwork to generate "consumer insights" can take so long that those insights may well be irrelevant by the time they appear in a chart. Testing ads and other concepts before they run can be similarly slow and costly. In 2014, Coca-Cola’s management decided that 100% of brand advertising globally must be tested and achieve a certain score that takes into account awareness, brand equity and competitive advantage, before running. The previous year in Japan, Coke aired more than 80 commercials but had only been able to test 33 of them due to time constraints. Complying with the new rule seemed a tall order. 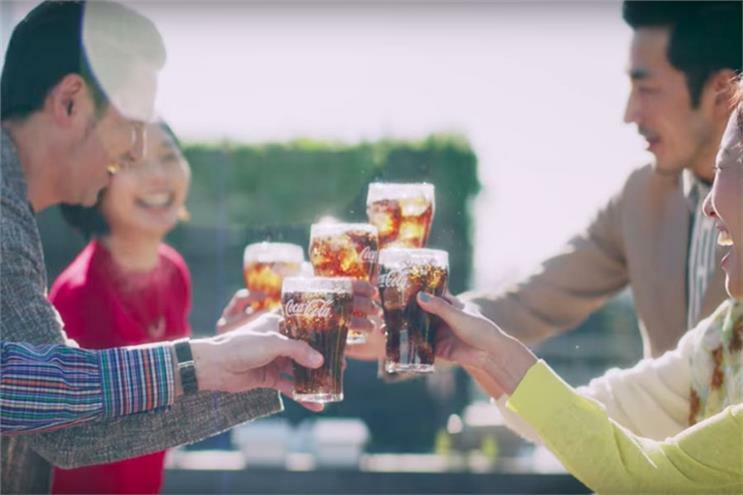 Hisae Endo, group manager of knowledge, strategy and insights at Coca-Cola Japan, says the team faced a "psychological impasse of being unable to find a solution for the rapid increase of tests". But things were to take an unexpected turn for the better. At a conference hosted by Esomar, a research industry body, Coke’s head of insights for the South Pacific, Lynette Davis, was impressed by the claims of a UK tech startup, ZappiStore (hereon ‘Zappi’). Zappi had developed a suite of automated research services to test advertising creative work. Most importantly, it said it was able to deliver same-day analysis for a relatively low fee of $2,000 (£1,545), where existing tests took around eight days at a much higher cost. Davis connected Zappi with her colleagues in Japan. At the time, Zappi had just four employees, and no experience of Japan. Endo says there were some initial concerns, but the risk seemed small relative to what they might achieve. Coke coughed up an initial $20,000 for ten pilot projects, and—in a first for the company—worked with Zappi to build the tools from scratch for Japan. Large brands often see research companies and agencies simply as "suppliers". It was a big undertaking, but developing things in partnership was important to the success of Coke’s experiment. The brand’s team took on the translation and question-formulation tasks itself, and refined the tool’s broad consumer segmentation to reflect the local market. Zappi’s small size made it possible to change and upgrade processes quickly, which would have been difficult for a large, established company. Endo says the decision-making processes in large organisations can help ensure quality, but also slow things down. "Startup culture has the advantages of agility and flexibility, and collaborating with [Zappi] was inspiring to us," she said. Coke uses Zappi for early stage ad testing and product development, in conjunction with larger research providers. Zappi has largely replaced qualitative research in those early stages. Its automated functions are key. Zappi’s executive vice-president for Asia-Pacific, Roxan Toll, claims that the platform removes slow and expensive manual processes, which can account for more than 40% of research budgets, and enables multiple market research projects to run at the same time. Endo says automated research offers "more outcomes and speed while keeping the total research budget under control". With Zappi, the team is able to choose the sample size, location and demographics or respondents, press ‘go’ and receive results in between eight to 12 hours. The volume of concepts Coke has tested has increased steadily, from 51 in 2014 to 77 in 2015 and 82 in 2016. The cost of testing multiple ideas is equal to that of testing one idea in the traditional way. Putting the emphasis on the start of the testing phase has made the whole process more efficient. Endo says increased consumer feedback at the beginning reduces the risk of failure during the final validation research. Co-creating the service with Zappi, which meant investing time and resources, was unusual both for Coke and for the marketing industry. Convention has service providers pitch a pre-determined, polished offering to clients. But Endo says that risks losing the innovative edge over the competition. "We might fail to notice opportunities opportunities to create new ideas and solutions through interaction of new values and cultures," she says. "It takes effort and patience compared to waiting for packaged solutions, but it’s important for competitive advantage." It was, of course, great news for Zappi, enabling the company to expand internationally. Toll says the relationship with Coke’s Tokyo office spread internationally, "making us a global company very quickly". Endo suggests large brands should be more open to supporting startups, even if the immediate benefits are not clear. "If we are open about our issues, startups will sometimes propose inventive solutions from their unique technologies and ideas," she says. "There is value and potential that cannot be tapped by simply waiting for a packaged solution." Meanwhile, Toll (left) says cultural differences are always likely to be a factor in such scenarios, but that it’s just important to be aware of them. "Both parties thinking about them and taking them into consideration when planning a joint project will go a long way towards making your collaboration a success," she notes. While unable to discuss how the partnership with Zappi is likely to evolve, Endo thinks the research industry is still struggling to transform itself into a provider of strategic solutions, and that clients can help accelerate that change through partnerships like this. "It’s also critical to accelerate more flexible relationship building between research buyers and research agencies," she says. "Multiple agencies could also work together for a joint proposal." Unsurprisingly, she also expects research partnerships with IT companies and social networks to become a bigger source of insight for marketers.